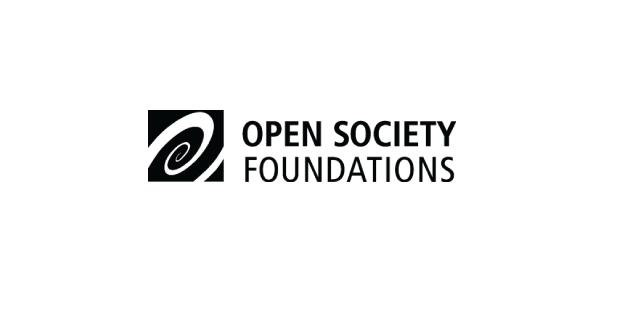 The Open Society Foundations seeks a Program Specialist to provide support to the International Migration Initiative (IMI), and specifically to its Fair Work program area. Fair Work: Our strategy aims to improve government policies and business practices to ensure a fair deal for migrant workers; to build migrant workers’ voice, power, and influence through organizing activities and coalition-building, and to challenge the culture of impunity by expanding migrants’ access to legal remedies. Welcoming & Integrated Societies: We aim to deepen support for refugees and migration through welcoming initiatives that bridge natives and newcomers, and to use insights on public attitudes to inform policy and advocacy. We pay close attention to the concerns of host communities and aim to strengthen their role in integration. Advocacy & Special Initiatives: This work cuts across our substantive program areas, using advocacy, multi-stakeholder partnerships, and engagement with the private sector to advance our goals. IMI seeks a dynamic and committed program specialist to support the design, planning and implementation of IMI’s Fair Work program area. The position requires knowledge of labor migration issues as well as passion to improve the situation of migrant workers as part of a broader movement for economic, gender and racial justice. The Program Specialist will learn about all the tools used by OSF to bring about social change and play an essential role in the use of grant making. This includes helping to identify new partners, assessing organizations in the field, designing projects, and evaluating the impact of OSF’s contributions. The individual may also lead work on specific projects or issue areas, such as on the role of technology to advance improvements for migrants. The position reports to the Fair Work Team Manager and is based in London. The role involves working closely with other IMI colleagues in OSF’s New York and Washington DC offices, as well as with staff in thematic and regional programs across OSF. Supporting programmatic efforts by conducting a wide range of activities related to the grant making process as well as analytical work in support of strategy development and the design and evaluation of program work. Keeping abreast of key issues and developments in the labor migration field. Assessing partner organizations, including evaluating aspects of their financial health. Evaluating grant proposals and budgets, designing grants (e.g. determining the type of support, degree of flexibility, duration, payment structure, reporting/learning expectations, etc.) and drafting grant recommendations. Administrative responsibilities, including developing tools and templates, coordinating event logistics, and processing vendor contracts and consultancy agreements. Working closely with other staff to ensure the efficient flow of grants processing. Developing concept notes, agendas, and other materials for convenings. Participate in preparing and presenting portfolio reviews. May provide support in the area of learning design for the benefit of the whole team. Responsibilities are carried out with a high degree of independence, although collegial problem-solving and collaboration are hallmarks of Open Society work. 3-5 years of progressively responsible experience in a situation relevant to the duties of this role is typically required to develop the skills required for this role. Knowledgeable on issues relating to labor migration, workers’ rights and worker organizing. Highly skilled in researching, processing large amounts of information, and analyzing its importance in informing OSF programs and strategies. Ability to recognize and work effectively in compliance with internal policies and external constraints. Willingness and ability to exercise sound professional judgment on issues of sensitivity. Demonstrate consistent respect for others’ opinions, listen well, and respond to colleagues with awareness and sensitivity to cultural communication differences. Diplomatic, discreet, able to handle confidential matters with a high level of integrity. Well-developed emotional intelligence, including self-awareness, self-management, and empathy. Organized; strong project management ability; self-directed on work initiatives; strong attention to detail. Ability to work constructively with colleagues at all levels in the hierarchy of the organization as well as with external partners. Strong commitment to open society values of rights, justice, accountable governance, human dignity, and democratic practice. Strong commitment to inclusion and respect for all colleagues regardless of identity or seniority. Application Instructions: A cover letter and resume are required for consideration. Please make sure to attach required documents.